Here are some pictures of my confections, most of them courtesy of photographer, Aaron Harris. Check for more pictures soon! As everyone's favorite confection of mine, these caramels are made in small batches and hand dipped in E. Guittard milk and dark chocolate. They are sprinkled with a variety of sea and mountain salts, to give your mouth a wonderful and unforgettable sweet and savory surprise. It's definitely hard to eat just one. 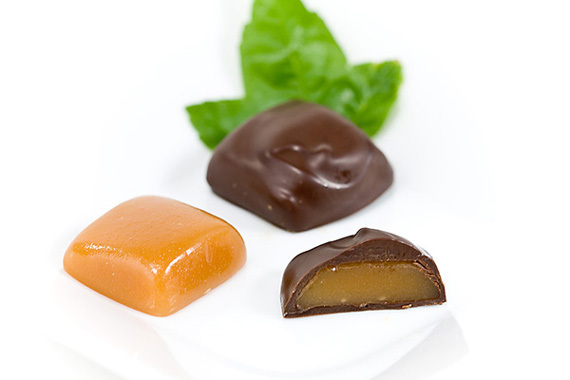 Plain caramel and chocolate covered caramel without salt. 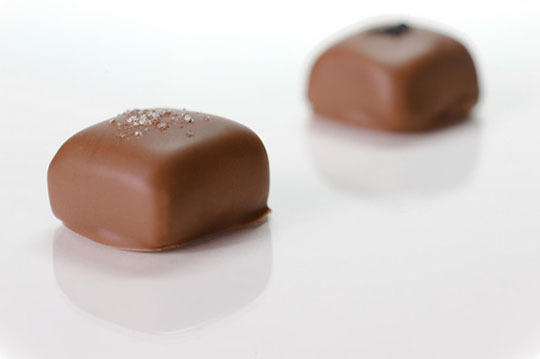 Peanut butter fondant dipped in Guittard milk chocolate couverture, sprinkled with Cacao Barry dark chocolate flakes. 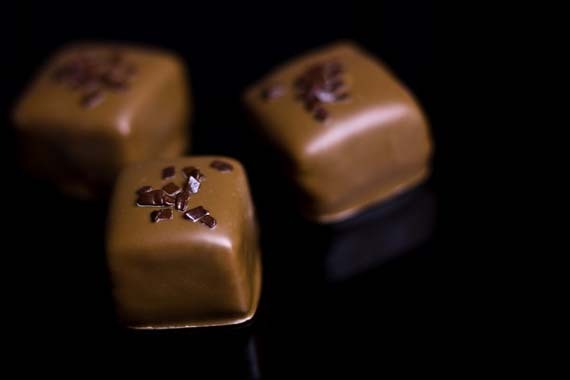 Soft caramels dipped in French Noel milk chocolate couverture with macadamia nuts on top, drizzled with more milk chocolate. 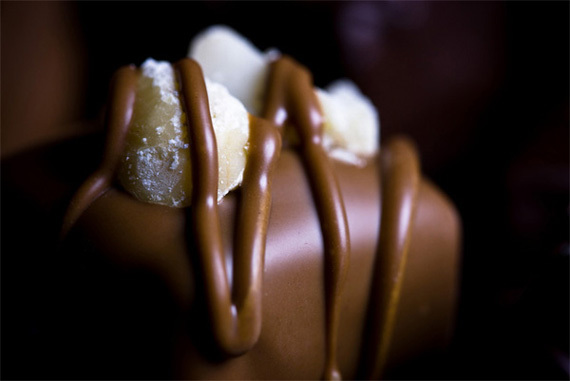 Peanut Butter fudge dipped in French Noel milk chocolate couverture with Cacao Barry dark chocolate flakes. 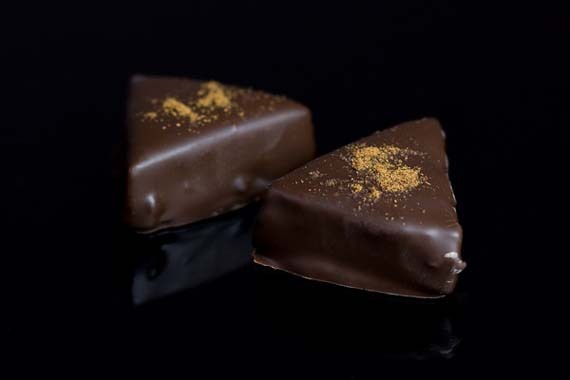 Cinnamon ganache dipped in French Noel dark chocolate, sprinkled with ground cinnamon. Mint chocolate fudge dipped in Guittard dark chocolate couverture with Guittard mint chocolate on top (although I avoid using the green mint chocolate, since it has artificial coloring in it). 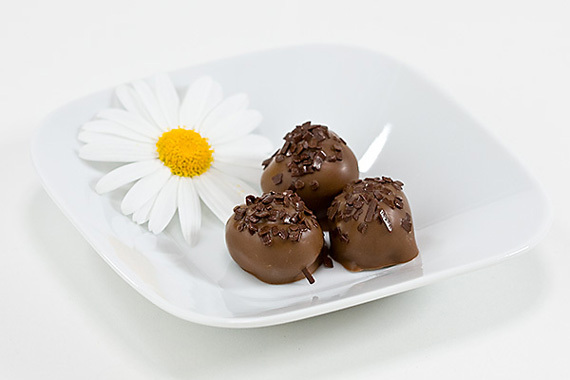 Sprinkled with Cacao Barry dark chocolate flakes. 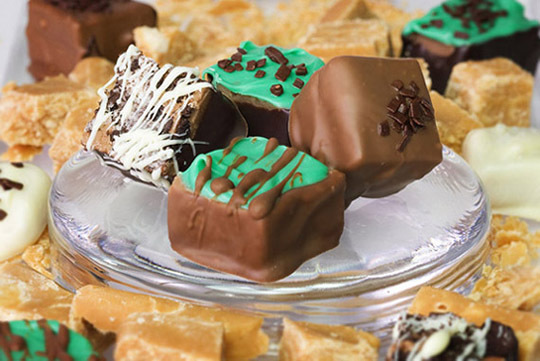 Mint chocolate fudge dipped in French Noel milk chocolate couverture with Guittard mint chocolate on top. Drizzled with more milk chocolate. Chocolate fudge with crushed cookies n' cream, dipped in Guittard dark chocolate couverture with white chocolate drizzle. 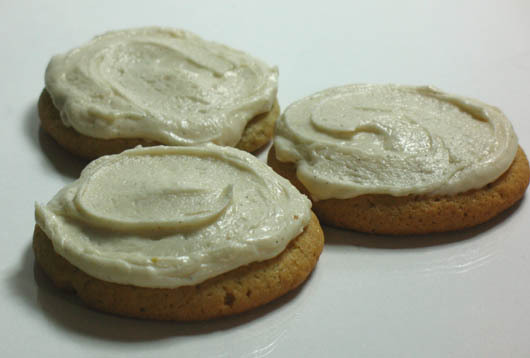 Buttery organic sugar cookies topped with a creamy frosting made with organic lemons and Tahitian Vanilla Beans. 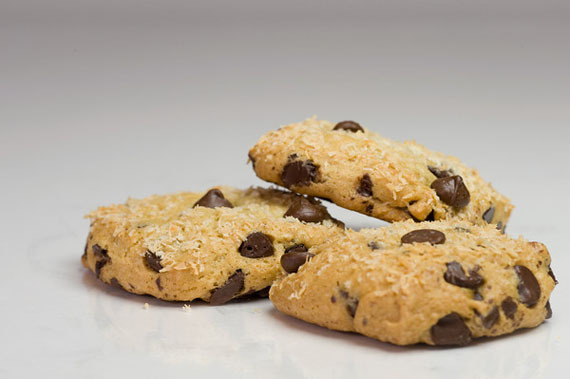 Soft organic chocolate chip cookies made with coconut milk and topped with delicious toasted coconut flakes. Jeff Ma's favorite cookie! 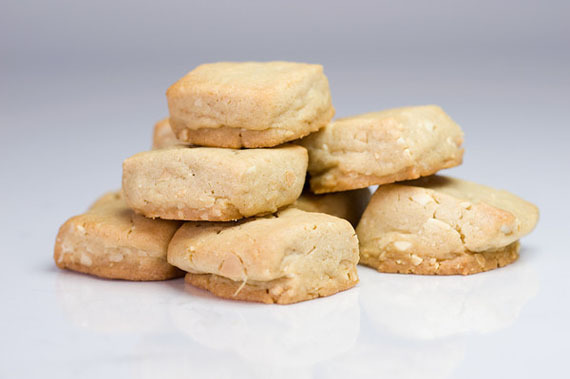 Deliciously moist and buttery in the middle, these cookies melt in your mouth with the sweet and savory taste of peanut butter. 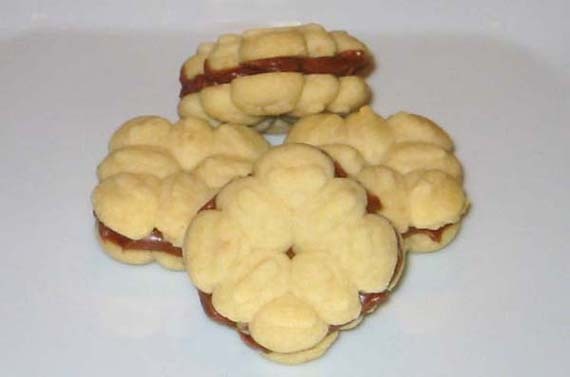 Cashew butter spritz cookies filled with Scharffen-Berger chocolate fudge.